The Inspector-General of PolÄ±ce, Mr. Ibrahim Idris, has appointed Mr Ibrahim Umar as the new Commissioner of PolÄ±ce in charge of Force Criminal Investigation and Intelligence Department (FCIID), Alagbon-Close, Ikoyi, Lagos. The spokesman of the department, DSP Pascal Ogazi, who confirmed the appointment to newsmen, said the new police boss was posted to re-organise the FCIID in Lagos. â€œThe I-G was not comfortable with the complaints, hence, the appointment of CP Umar, who had excelled in intelligence operations at different commands to reposition the department for efficiency. â€œHe had resumed and met with all sections of the department to brief them all on what is expected of them. He told them that FCIID was a place of excellence in investigations which had long lost. â€œHe said his coming to the department was to see how they can restore the lost glory of the office in Lagos. He said the complaints brought before I-G about the department caused serious confusion. â€œThe Nigeria PolÄ±ce is one and all sections or units are supposed to speak with one voice. He warned the officers and men against land matters. â€œThat does not mean they cannot make arrest and investigate if there is a threat to life and other criminal matters about land. He also warned the men against human rights abuses, â€œ Ogazi explained. The spokesman said the arrival of the new CP brought to end illegal operations by some policemen soliciting for clients on the street of Alagbon Close. 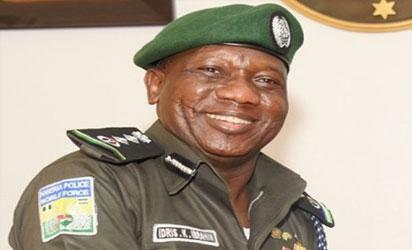 The post I-G appoints new CP to re-organise FCIID in Lagos appeared first on Vanguard News.